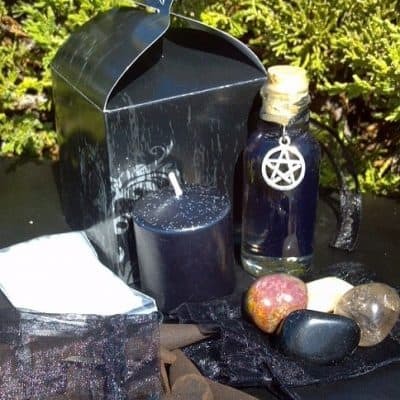 ~ When you are ready to spark some magic, visit your sacred space or bring a little light into your life, we want you to enjoy our newest “Fantastical Elementals” collection of 2-in- 1 candles with “fantasy charm pendants” all in one! Each of my hand dipped, hand embellished herbal candles have been designed with a specific intention using my own Angel’s Mist Essential Oils. I utilize premium naturally colored wax and pure cotton wicks. They are each highly scented and have long lasting burn time. 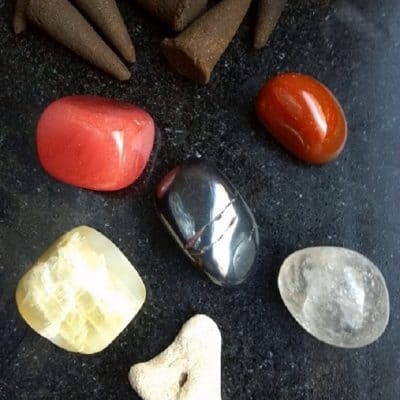 ~ The Nine Sacred Woods are the first nine symbols representing the first nine trees in The Ogham (commonly pronounced Oh-m) or Celtic Tree Alphabet and Calendar. This early Medieval alphabet, used primarily to transcribe the early Irish language, is the only written form left by the Druids. 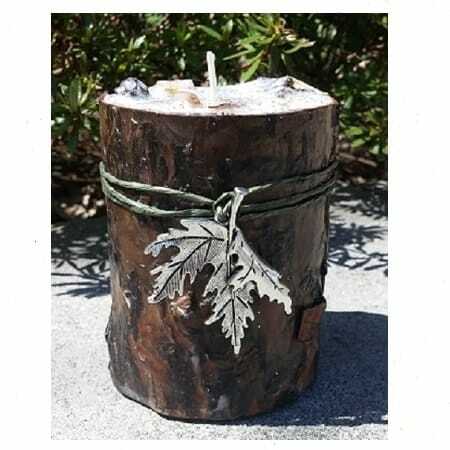 ~ This stunning candle has the nine “true” sacred woods (which I have gathered from all over the world) baked into the candle. It is then lined with a beautiful piece of waxed Birch wood. 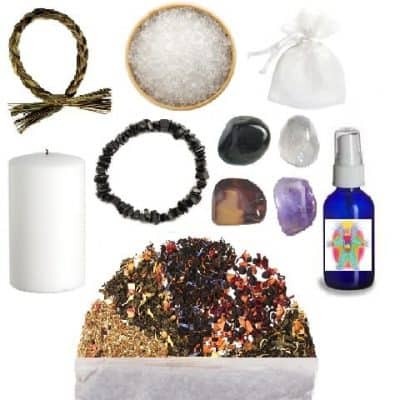 ~ It is also enhances with Sacred Cedarwood, Romantic Rosewood and Precious Pine Needle essential oils. 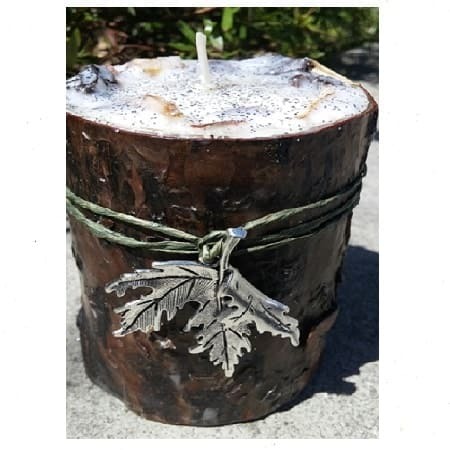 The candle is bound with “herbal wire” and accented with a 54 x 42mm pewter Pin Oak Leaf pendant! 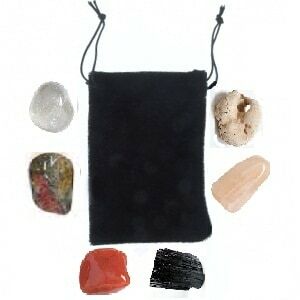 It can be worn with a black ribbon or on any cord or chain! The candles measures 3″ x 4″ inches tall.